Hello, welcome to my website and blog! For the last several decades I have been focusing on contemporary music practices and the poetics of interpretation. My most recent passion has been exploring electronic composition combined with improvisation. 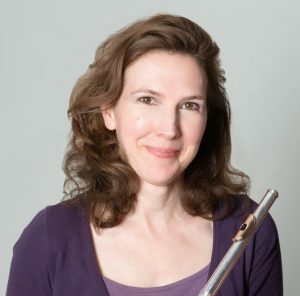 Currently, I am flutist of the Cologne-based Ensemble Musikfabrik, and coach for our youth ensemble Studio Musikfabrik. Are you a flutist interested in extended techniques? Click below, or use the search function in the menu bar. Are you a composer interested in writing for flute? Click below, or use the search function in the menu bar. Share freely, but please credit me. Please also consider donating through Paypal to support the effort. So, looking through spectral analysis of my different flutes, I notice a strange dip around 10K on my alto flute. It’s as if someone ran a notch filter right at that frequency. (It’s an alto with a straight headjoint, not a curved one.) Here are the examples. They are raw, not processed, all recorded on the same microphone and digital recorder. Does anybody know what is going on? Any alto flute makers of headjoints know if this is something typical? Any alto flute players want to compare? I have a theory that the notch you see may be due to the natural resonance of the flute type you are playing due to diameter of the flute. Not knowing room temp nor altitude I predicted various notches for various flutes in a linear fashion based on your observed notch . To check this, I take the same C flute example as above, but shown up to 20K and with one channel zoomed in. There are dips around 12K and 9K. Maybe because of the B foot? Cologne is about 37 Meters above sea level, and it was about 20°C.